Background and objectives: Cervical cancer is the most common cancer in Indian women and is a leading cause of death in women worldwide. Cervical cancer develops from pre-neoplastic cervical intraepithelial neoplasia (CIN). 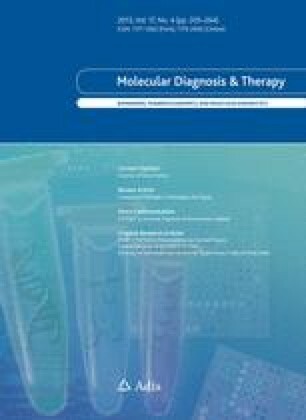 This study was conducted to evaluate telomerase activity as a tumor marker for the detection of cancer in patients with CIN and cervical cancer. The results were compared with human papillomavirus (HPV) status, clinical staging, and histopathologic studies. Methods: Telomerase activity was detected using the PCR-based telomeric repeat amplification protocol (TRAP) assay in cervical tissues collected by routine punch biopsy from the uterine cervix of patients with suspected cervical cancer. High-risk (HR) HPV-16 and -18 status was determined in all the study groups, including controls. A total of 125 patients (including 50 patients with CIN and 75 patients with cervical cancer [including nine patients with adeno-squamous disease]) and 22 control subjects were studied. The sensitivity and specificity for detecting CIN and cervical cancer were calculated. Results: Patients with grade I, II, and III CIN showed 17%, 33%, and 57% positivity for telomerase, respectively. In patients with cervical cancer, those at early clinical stages (Ia-IIb) showed 68% positivity and those at later clinical stages showed 92% positivity for telomerase activity. In the present study, telomerase positivity correlated significantly with the detection of HR HPV-16 and -18 (p < 0.001). As a diagnostic test, none of the described analyses combined a sensitivity of ≥90% with a specificity of ≥90%, except in patients with advanced cancer when telomerase activity was used as a diagnostic test. Conclusion: Our findings suggest that telomerase activation is a relatively early event in cervical carcinogenesis and correlates with the grade of cervical lesion, HR-HPV status (16 and 18 subtypes), and clinical staging. Hence, these associations suggest it as a possible target for detection of cervical cancer. We thank Dr B.C. Das and Dr Uma Kailash, Institute of Cytology and Preventive Oncology, New Delhi, India, and Dr Raksha Arora, Department of Obstetrics and Gynecology, Maulana Azad Medical College and Associated Hospitals, New Delhi, India, for their help during the course of this study. We are particularly indebted to the patients who agreed to participate in this study. The financial support provided by the Indian Council of Medical Research, New Delhi is gratefully acknowledged. The authors have no conflicts of interest that are directly relevant to the content of this study.